Are you looking for a Portuguese voice over for your upcoming project? Voice Crafters offers some of the best Portuguese voice over artists you'll find anywhere! We pride ourselves in an outstanding and personal customer experience and we never compromise on the quality of the end-products we deliver. Rest assured the audio you'll receive from us will be pristine and to the highest broadcast standards. Our native voice talents have years of voice acting experience and are super versatile, so you can count on a perfect delivery for any type of voice over, be it for explainer videos, TV commercials, e-learning modules, IVR or PRAM prompts and others, we have you covered. We also provide professional translations, subtitling and audio post-production services like sound effects, sync-to-picture and even video editing! Just let us know what your needs are. Take a listen to our voice actors' below and check out their profiles. You can always download demos to your computer as well. If you have any questions, please contact us today. We're here to help! Professional Voice-Over Talent since 1994. I’m a professional European Portuguese voice over talent and audio producer since 1990. I am an European Portuguese voice over talent since 1990. Nearly 300 million people around the world speak Portuguese as their first language. At one time, the Portuguese language was only spoken within the small country of Portugal. Now, however, Portuguese is found heavily spread throughout South America, Asia, Africa, and Europe. This Indo-European language with West Iberian roots is the official language of nine different countries. These include Portugal, Brazil, Angola, and Mozambique. The dependency of Macau and the Galicia region also consider Portuguese to be their official language. The Indian province of Goa uses Portuguese as a cultural language, and it is found in the European Union and many other international organizations. Portuguese is regulated by the Academia das Ciencias de Lisboa and the Classe d Letras in Portugal. The Portuguese language found its footing on the Iberian Peninsula, when the Romans conquered the land over two thousand years ago. A direct descendant of Latin, Portuguese is known as a romance language. 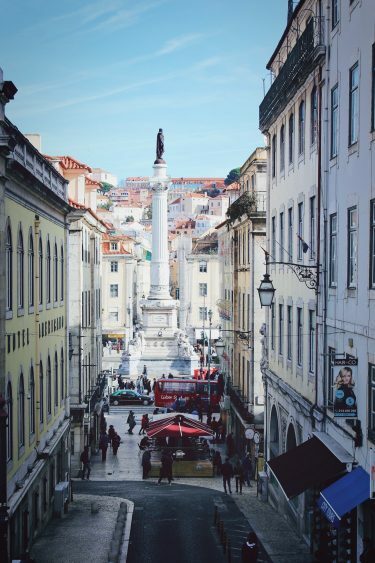 Unlike many languages where the immigrant population spread in small groups, Portuguese is found in quite large numbers throughout the world. Our narrators are all native Portuguese speakers and ready to hit that “record” button for you at a moment’s notice! Contact us today for a free quote.